Ensure Plus Fibre is a complete, balanced nutritional sip feed, with mixed fibre and FOS (fructooligosaccharides), designed for people at risk of disease related malnutrition. Ensure Plus Fibre is a high energy, high protein liquid supplying extra energy within a limited volume and contains fibre and fructooligosaccharides. 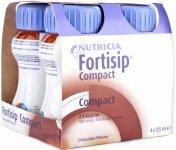 Ensure Plus Fibre may be used as a nutritional supplement or as the sole source of nutrition for patients who cannot or will not eat sufficient quantities of everyday food and drink to meet their nutritional requirements. 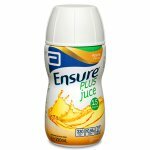 Ensure Plus Fibre is a 1.6kcal/ml, ready-to-drink, milkshake style oral nutritional supplement with fibre, for people with, or at risk of developing, disease-related malnutrition. Ensure Plus Fibre contains a mix of fibre and FOS (fructo-oligosaccharides). Malnutrition can have an impact on both physical and mental health; symptoms include loss of weight, tiredness and a lack of energy. Patients can overcome malnutrition and involentary loss of weight or maintaining nutrients by consulting a nutritionist to determin the level of malnutrition. There are various way to overcome loss of weight. These include nutritional food with additional nutrients, adding snacks to increase nutritional or energy intake, adding extra calories to food. Oral nutritional supplements (ONS) such as Ensure Plus can be a simple way to obtain extra nutrition. In some cases, additional or full nutrition may be given via a feeding tube. 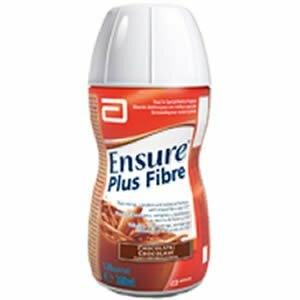 Ensure Plus Fibre is ready to use. Ensure Plus Fibre is best served chilled unless bolus feeding is indicated. In this case the product should be administered at room temperature. 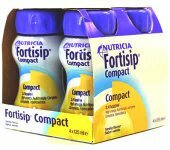 Ensure Plus Fibre bottles will attach to all Abbott Nutrition giving sets. In patients receiving some medication, there may be a risk of drug nutrient reactions (e.g. warfarin and vitamin K). Careful prescribing and monitoring practices will serve to reduce the risk (please refer to pharmacist). Many nutritional supplements contain sucrose and other sugars. 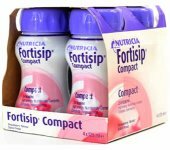 It is important that patients who are taking supplements as sip feeds observe good oral hygiene. It is suggested that patients consult with their dentist for further advice. 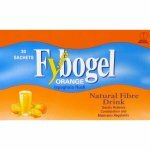 It is important that patients taking fibre containing supplements maintain an adequate fluid intake. 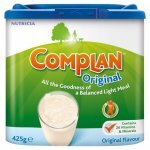 When feeding to patients with dysphagia, please thicken the product appropriately. Ensure Plus Fibre is not for parenteral (intravenous) use. Ensure Plus Fibre should not be used in children under 1 year and should be used with caution for children under 6 years of age. Ensure Plus Fibre is not suitable for patients with galactosaemia. 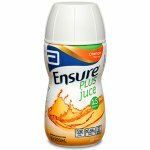 Ensure Plus Fibre is suitable for people with diabetes provided that routine glucose checks are performed. Water, corn syrup, sodium caseinate (milk protein), sucrose, canola oil, high oleic sunflower oil, milk protein isolate, fructooligosaccharides, corn oil, soy protein isolate, soy polysaccharide, oat fibre, potassium citrate, gum arabic, flavouring, magnesium chloride, emulsifier: E322 (soy lecithin), carboxymethylcellulose, tricalcium phosphate, choline chloride, vitamin C, ferrous sulphate, zinc sulphate, stabiliser: E418, vitamin E, niacin, citric acid, manganese sulphate, calcium pantothenate, vitamin B6, copper sulphate, thiamin (vitamin B1), riboflavin (vitamin B2), beta carotene, vitamin A, folic acid, sodium molybdate, potassium iodide, sodium selenate, chromium chloride, vitamin K, biotin, vitamin D, vitamin B12.